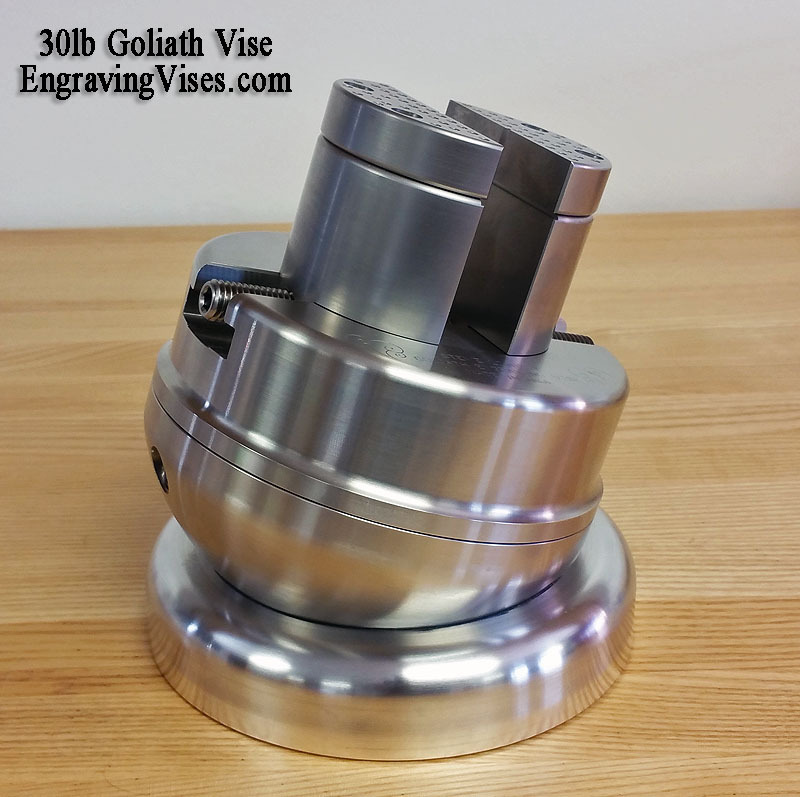 The new Goliath vise have been changed and are now made from stainless steel and a new base. 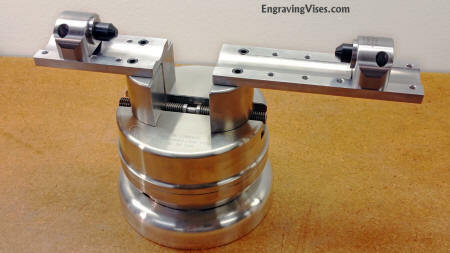 The jaws are hardened stainless as well as the pin plates and lead screw, similar to the PalmControl vise and Titan vise. 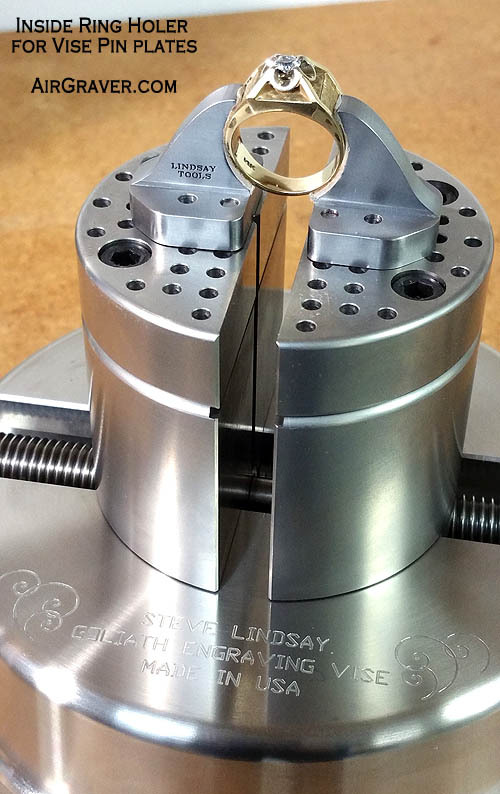 **Threaded holes in jaws for pin plates or custom fixtures (pin plates are installed in photo and are included in price). 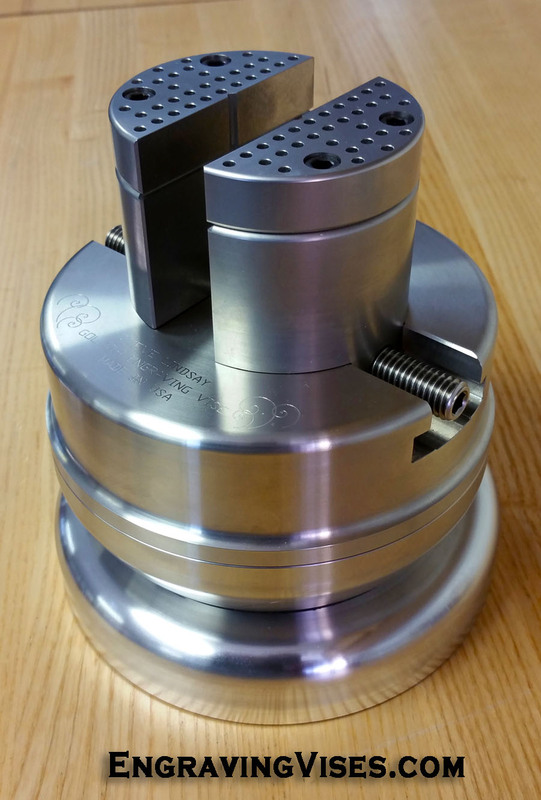 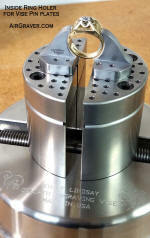 They fit the pin plates on the Low Profile vise, later Goliath vises and PalmControl® vises. 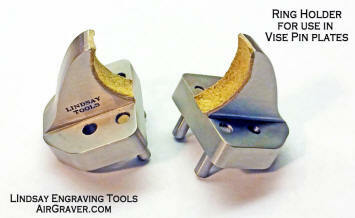 Find more information about these holders on the vise accessory page. 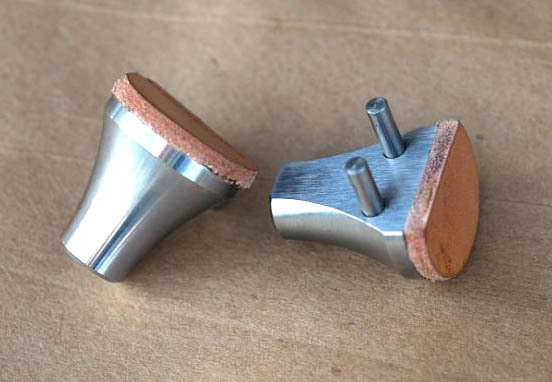 Place these in vise pin plates to hold rings from the outside, to allow inside engraving, as well as access to the top of the ring. They are made from solid stainless and the faces are leather lined. 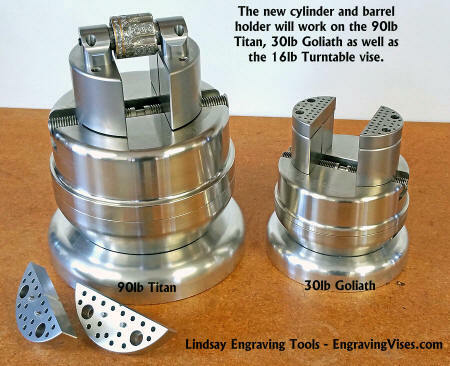 Find more information about these holders on the vise accessory page.